Some people work hard at trying to make more money. I find it easier trying to save more money. So I find sales and promotions that I can take advantage of the save money while traveling…and it works out even better when I’m getting paid to stay at hotels! First of all, no one is actually paying me to stay at hotels. I’ve found a loophole where I’m credited more money than I spent for the stay. This was done using Expedia’s Best Price Guarantee. 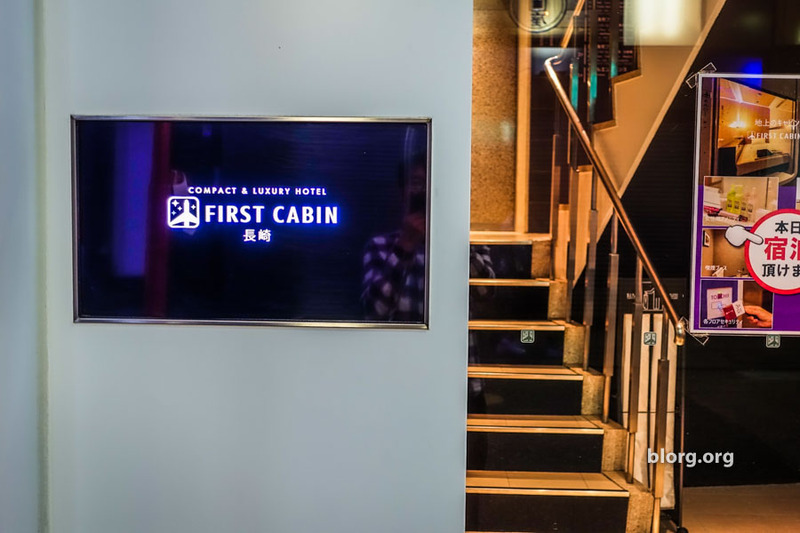 I booked a stay at First Cabin Nagasaki for $35 on Expedia. Then sent in a Best Price Guarantee claim to Expedia, stating that I found the same hotel for $26 on Agoda. A day later, they got back to me and approved my claim. They brought my stay down to $26 and sent me a $50 Expedia voucher a few weeks later. Bam! I made $24 for staying at this hotel. I really liked this “capsule” hotel because no one was above me. Being able to sit up in your bed without hitting your head is really nice. The capsule was EXTREMELY clean as well as the other facilities. This was on par with my other “cabin” stay at Cabinhouse Fujinomiya, but not as many free amenities were provided at First Cabin. When you arrive, you have to climb your luggage up one flight of stairs to access the elevator. This doesn’t make any sense, especially for handicapped people, but that’s how it worked. The staircase is also locked between the first and second floors (extreme firehazard!) so you have to take the elevator. Taking the elevator to get in and out of the building is really inconvenient, since it’s a slow and there’s only one elevator. When you get to the front desk, you won’t be able to check-in until 5pm. They are very strict about this rule. Lockers are built into the shelf so you can lock up anything important. It was big enough to put my backpack in along with my valuables. My luggage had to go in the storage area which was located not too far from my cabin. It was safe enough and I didn’t run into any issues. The bathrooms were very clean. There were slippers to use when you walked in and a vending machine. If you wanted to take a bath or a shower, that would be on the top floor. There is only one private shower available for men and one large bath to support a higher volume. In the top floor bathroom is an awesome washer/dryer machine. One machine, does both, takes 3 hours, costs 500JPY for 3kg of clothes. This place is in an awesome location! If you head South, you’ll be in China Town. Heading North will take you to an outside mall. Going East or West will take you through a maze of restaurant and bars nearby. I wanted something quick and ended up at a nearby izakaya eating horse and whale meat.